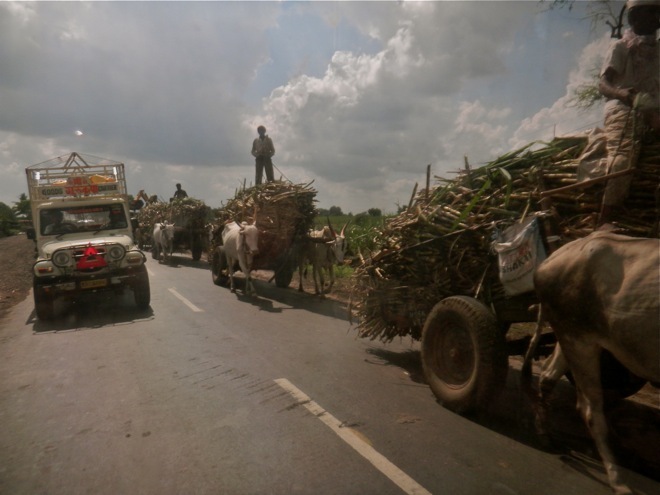 The Sugar Cane in India is a welcomed site. The juice bars in Bombay selling fresh sugar cane juice will set you back 7 rupees (the exchange is currently at 45 Rupees to the Dollar). As viewed in the photo the harvest is manually accomplished and then the long sugar cane stocks are driven by two oxen cows. The long row of oxen wagons slightly disrupts traffic.